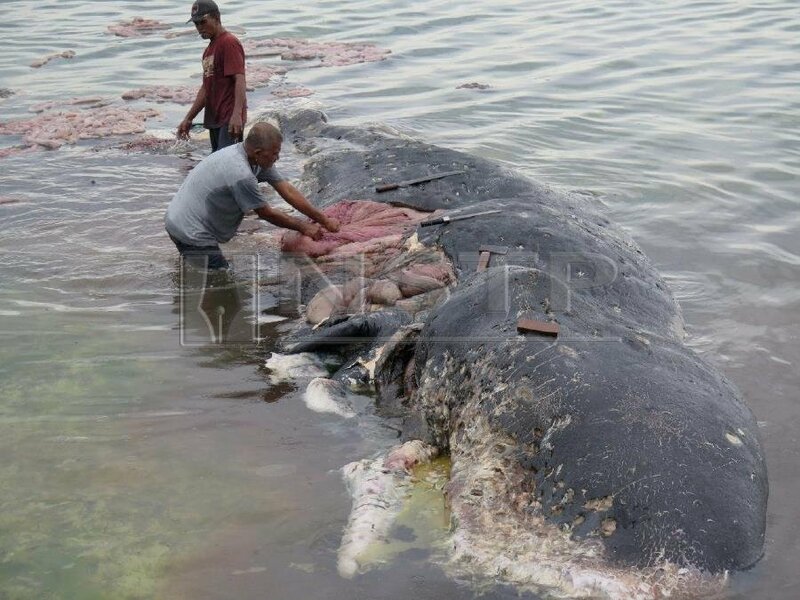 JAKARTA: A sperm whale found dead in a national park in Indonesia had nearly six kilogrammes of plastic waste, including 115 cups, in its stomach, park officials said on Tuesday. Five Asian nations – China, Indonesia, the Philippines, Vietnam and Thailand – account for up to 60 per cent of plastic waste leaking into oceans, said a 2015 report by the environmental campaigner Ocean Conservancy and the McKinsey Center for Business and Environment. Indonesia, ranked second behind China in the 2015 study of mismanaged plastic waste from populations living near coastal areas in 192 countries, has pledged US$1 billion a year to reduce marine plastic debris by 70 per cent by 2025.